Pipe Prefabrication Boosts Production | Grunau Company, Inc.
Grunau’s experience has taught us that the more material that can be prefabricated before it arrives at the jobsite, the more productive and cost-effective a job can be. We’ve used prefabrication since the 1970’s but have stepped up the efforts in more recent years. 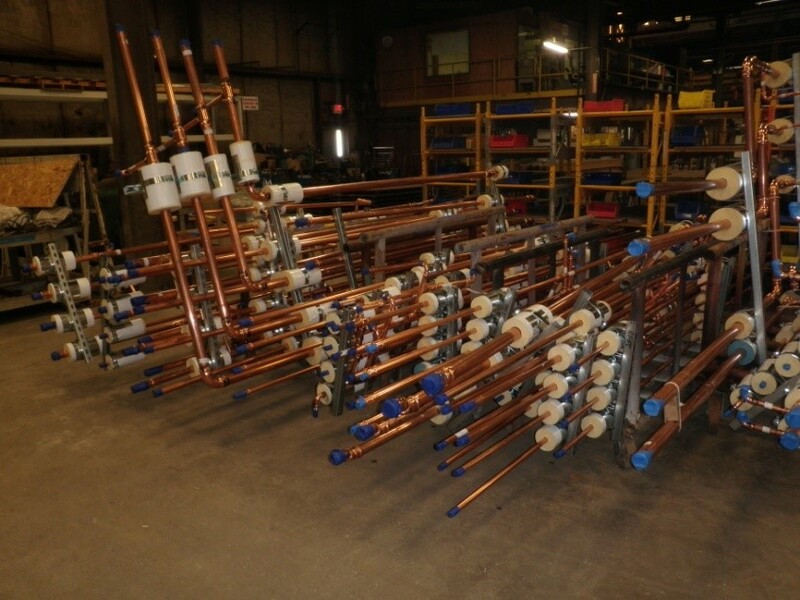 Pipe prefabrication is especially relevant for this downtown remodeling project. An insurance company is currently renovating a nearby office building in downtown Milwaukee. Grunau has multiple trades on site including pipe fitting, sheet metal, plumbing, fire protection, and underground site utilities. Subsequently, each trade thought of ways to make this job more productive and pipe prefabrication was just one way. In conclusion, better safety, improved efficiency, and quicker production, with no loss of quality, is what provides better value to our customer. We know the customer pays our wages, thus we are creative with prefabrication so our customers hire Grunau back for the next job.